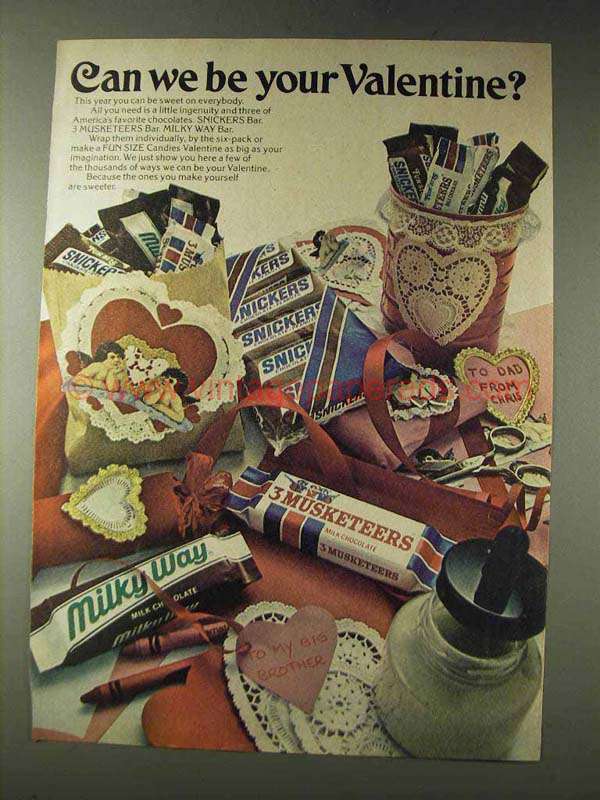 This is a 1978 ad for a Mars Milky Way, Snickers and 3 Musketeers Candy Bars! The size of the ad is approximately 8.5x11inches. The caption for this ad is 'Can we be your Valentine?' The ad is in great condition. This vintage ad would look great framed and displayed! Add it to your collecction today! 1991 PayDay Candy Bar Ad - Can't Wait for Your Next? 1931 Beeman's Pepsin Gum Ad - Out of Humor?